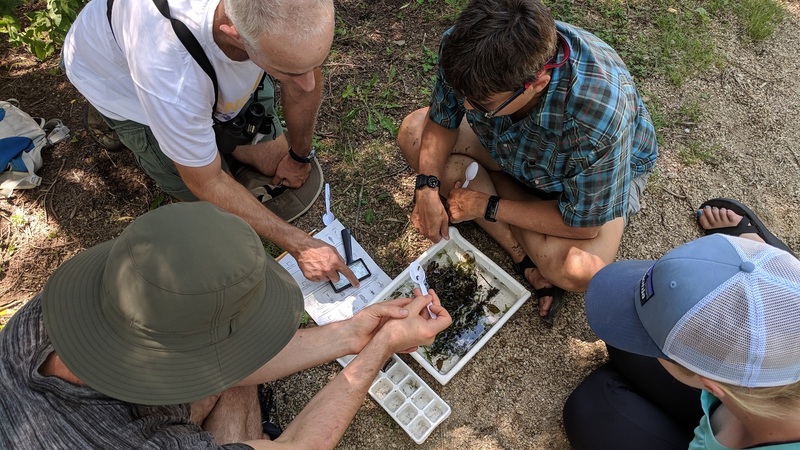 I recently had the opportunity to take the Wisconsin Master Naturalist volunteer training – the Natural Resources Foundation is a proud partner and supporter of the Wisconsin Master Naturalist Program, so I wanted to experience the program firsthand. My course was hosted by the Friends of Pheasant Branch Conservancy over two weekends in June and I was very impressed! The training was informative, interesting, and above all, motivating. Part of the course was in a classroom setting, with presentations on various natural resource topics. Each participant receives a massive binder with information and resources, so you can learn more on your own time about the topics you’re most interested in. The classroom learning was complemented with field experiences, such as learning about wetlands and soils at Pheasant Branch Conservancy, geology at Devil’s Lake State Park, and water quality and invasive species at Black Earth Creek. It reminded me a lot of our Natural Resources Foundation Field Trips – in fact, many of the guest speakers from my training are also NRF Field Trip Leaders, like Tom Bernthal, a DNR wetland biologist, Mike Miller, a DNR stream ecologist, and Susan Carpenter, with the UW-Arboretum. 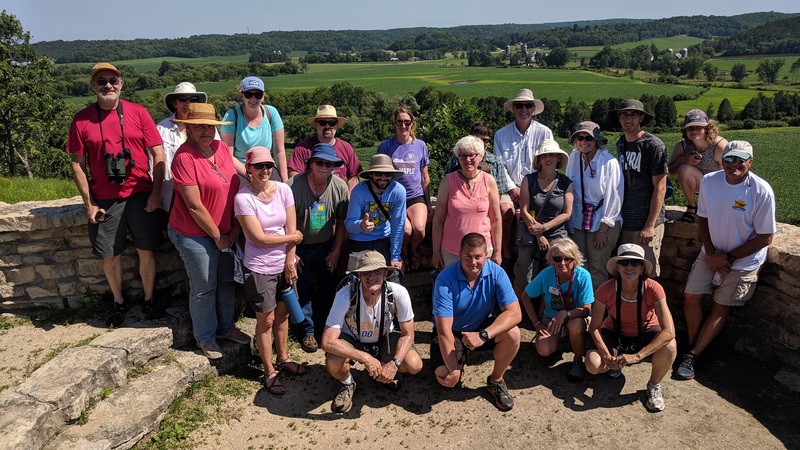 Perhaps the most inspiring part of the Wisconsin Master Naturalist course for me was meeting the diverse group of people who took the course, from many different backgrounds. In my course, we had a farmer, an army officer, a professor, a playwright, a graphic designer, a psychologist – the list goes on and on. It was amazing to see how passionate people are about Wisconsin’s natural resources. At the end of the training, each participant is required to present their capstone project – a mini-project we needed to spend 3 hours of our own time working on. It was amazing to see the ideas that my fellow classmates came up with—projects that gave something back to their own communities right out of the gate. Developing a guided horseback tour of Governor Dodge State Park. It was wonderful to see the ways that people brought their own interests and expertise, and combined that into a project using the knowledge they learned from the WIMN course. For my own capstone project, I will be conducting environmental and sustainability outreach efforts to individual homeowners and the business community of the Tenney-Lapham Neighborhood in Madison, where I recently purchased a home. My outreach will include many different ways that people and businesses can engage in conservation—from planting native plants and supporting pollinator conservation, to installing rain barrels and composting systems in their backyards. 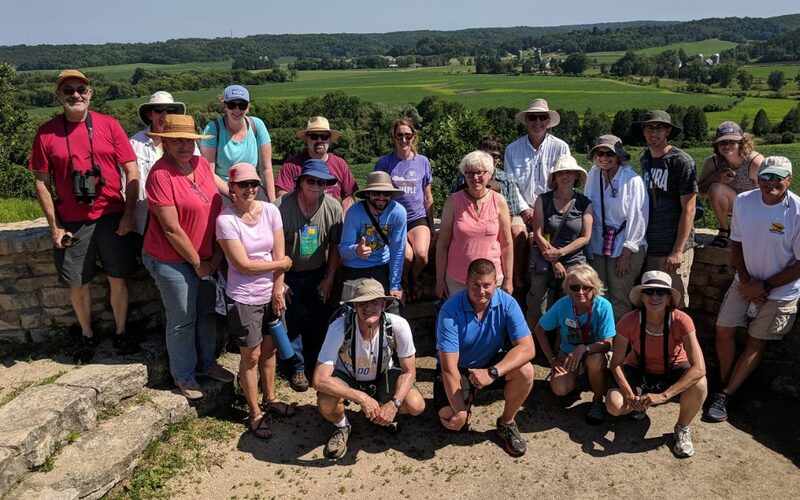 Overall, the Wisconsin Master Naturalist volunteer training was a fun and engaging way to connect with other people who are interested in Wisconsin’s natural wonders, and to learn more about the place we live. If you’re interested in learning more, or would like to sign up for a Wisconsin Master Naturalist course, please visit WIMasterNaturalist.org. I highly recommend it! The Wisconsin Master Naturalist Program (WIMN) is a network of well-informed citizens dedicated to conservation education and service within Wisconsin communities. The WIMN Volunteer Training Course provides 40 hours of coursework in natural history, interpretation, and conservation stewardship. 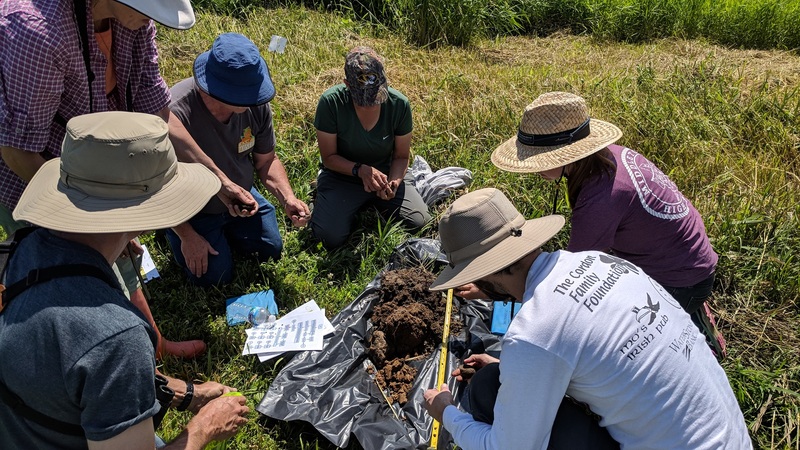 Courses combine classroom instruction with field experiences and are taught by professional natural resources educators and scientists, who are trained to deliver the WIMN course. The Wisconsin Master Naturalist Program was launched in 2013, and was modeled after similar master naturalist and master gardener courses across the country. An incredible 663 volunteers have already been trained through the program, contributing more than 55,000 hours of service in their communities. Courses are hosted throughout the year across Wisconsin, with various schedules – some meet once a week over five weeks, others do the training in a one-week period.